The Town of Trenton is located on the last point of mainland before entering Mount Desert Island, the "Gateway to Acadia". The Town of Trenton is located on the last point of mainland before entering Mount Desert Island. As such, it is truly the "Gateway to Acadia". The Trenton Bridge looks out on a view that has thrilled hundreds of thousands of travelers. The Town was incorporated in 1789 and was named in honor of George Washington's battle in Trenton, New Jersey. 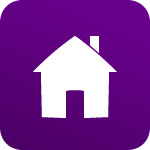 In 1776 a settlement was organized by Ebenezer Thorndike. The area was variously called Thornbury and Thorndike Plantation until its incorporation. Until 1870 Trenton also included the eastern half of the peninsula, but in that year it was divided when the town of Lamoine was separately incorporated. Trenton has a long tradition of the sea that continued through the 1800's as shipbuilding and shipping prevailed in addition to lumbering, farming, and of course lobstering. 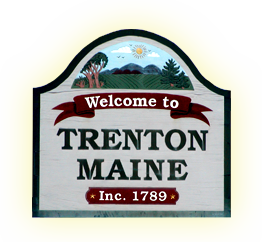 Now proudly approaching our 220th year, the Town of Trenton welcomes you to Down East Maine. 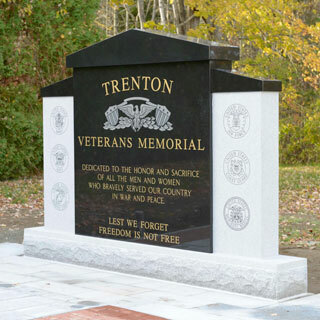 Many thanks to the tireless efforts of the Trenton Veteran's Committee for their hard work in helping create a memorial to our Veterans. The new Veterans Park is located beside the Town Office at 59 Oak Point Road. Memorial pavers may be ordered through the Town Office. Tuesday, April 23 @ 5-6:30 pm in the school library - Childcare will be available. Thursday, May 15 @5-6:30 pm in the school library - Childcare will be available. The Trenton Town Office will be closed on April 15th to observe Patriot's Day. There are openings on the Board of Appeals. Please express interest at the Town Office. The Board meets the second Thursday of the month on an as needed basis.